Car accidents can happen at any time, and they can occur when we least expect them. The consequences of reckless driving can sometimes be severe and far-reaching. It is essential that all drivers remain cautious and vigilant whenever they are behind the wheel. Drivers who do not follow traffic laws could be putting their own lives as well as the lives of others at risk. On May 24, the Boston Police Department received information about a multi-vehicle accident. The accident was reported to authorities around 6:00 in the evening and occurred on Maplewood Street. Officer Scott Pulchansingh was the first to arrive at the scene, and other emergency responders arrived shortly afterwards. Upon arrival, first responders administered medical care for minor injuries. It appears these injuries were not life-threatening. Police are still investigating and reviewing the cause of the accident. 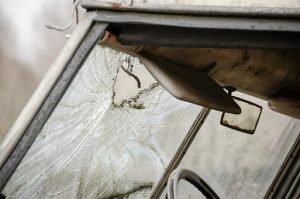 Luckily, the injuries reported in this accident were not serious, but some car accidents can cause catastrophic injuries. Negligent driving is a severe problem, and these actions can lead to potentially fatal car accidents. All drivers are responsible to protect themselves and others from accidents by driving vigilantly at all times. We are committed members of our community, and we want our roads to be safe for all who use them. At the Law Offices of Jeffrey S. Glassman, we see the severe consequences of vehicle accidents first-hand. We urge all drivers to remember to stay vigilant. We know that accidents can happen to even attentive drivers, so we are dedicated to helping victims receive the assistance they need to recover and move forward.